Don’t Wait for Disaster to Strike — Inspect Your Roof Now! Torn & Loose Shingles – While high winds can tear and loosen shingles, this problem is more often caused by old age. In some cases, a repair is acceptable but the problem will only get worse as time goes by. An experienced roofer can tell if the shingles are at the end of their useful life and whether a shingle roof replacement is the better, more affordable course of action. “Soft” Spots – Another common problem with a failing roof is water infiltration. In this situation, one of the first things to get damaged is the underlayment that lies just beneath the shingles themselves. Understandably, most homeowners will not want to “walk the roof”. But, a professional will get up there and can tell just by walking across the roof whether there are any soft spots that may indicate the underlayment is damaged. If there are, it is a good bet that the roof may need to be replaced. Damaged Fascia Boards – Similarly, damage to the fascia boards – the transition from the roof to the sides of your house – indicates that the roof is old or that it is not functioning as well as it should be. The most common cause of this damage is, again, water runoff from a damaged roof line. In some cases, damaged fascia boards can be easily replaced without doing a whole shingle roof replacement but it is important to ensure that the root of the problem (i.e. the runoff) is not causing other damage to the house. 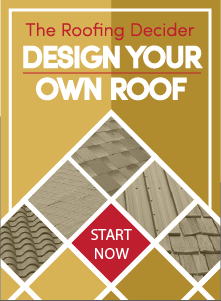 For more information on shingle roof replacement or if you would like a free roof estimate in Sacramento or the surrounding area, please contact us at Straight Line Roofing & Construction.